Having lived in all of these places, my preference is Denver. The Springs has great outdoor places to go to, but one can get there from Denver without having to live there. I didn’t get to check out enough of Denver, but spent an afternoon driving around town before I left, liked it as well. Few people live in Denver, proper. Most live in the burbs. I lived in Lakewood and Aurora while I was there. I liked Lakewood better. I doubt anyone living in Aurora actually likes it there. Some of the homes in the older district of Colo. Springs were outstanding. Oooh shiny. Turns out I'm a magpie. 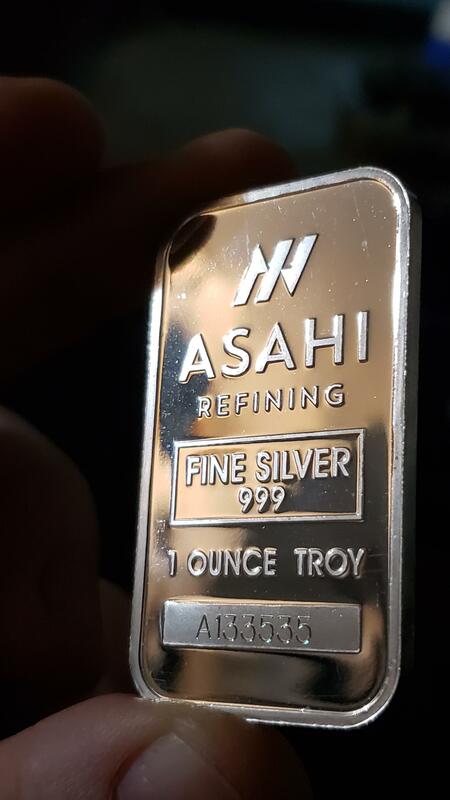 Shiny silver, show me a 100 ounce bar! I wanted to buy one of those when the price was 6 dollars an ounce, but didn't. What's that shield against, the northern lights? They won't hurt you. My favorite rocket picture ive ever taken, of my own rocket. 11 foot tall scratch build flying on a big white 'N' class motor right at dusk many years ago. Favorite aviation shot taken when I was still in training a few years back. Live for those last few seconds! Favorite Nature shot from a place I used to work many moons ago. Redwood forrest in Sonoma County. And favorite reptile shot of a Northern Pacific Rattlesnake from a flip of 8 of them. Hard to pick, i take alot of photos lol. Biggest bars I have are 10oz, maybe I'll get a 100oz bar eventually. How's close to 100oz in smaller bars and rounds for you? As for the northern lights, some aboriginal groups would disagree . On a serious note, it's the logo for my twitter account. OSINT type stuff, hence the shield. Awesome rocket! Did you have any cool payloads on it? Cameras perhaps? That particular rocket flew The King Of Random’s LG cell phone project supersonic a few years ago. He made a youtube video about it. That bird is more for show. My latest video camera payload is gonna be headed for about 250K and close to mach 5 when i can scrape the last funds together. Rockets make lasers look cheap. Cool, I might have seen that. Will need to look it up either way! Looking forward to seeing the next one! Yeah, don't imagine they're cheap for a hobbyist. At least not on that sort of scale.